The top 12 finalist from season 2 of The X Factor, Jennel Garcia, has announced a North American headline tour for June. 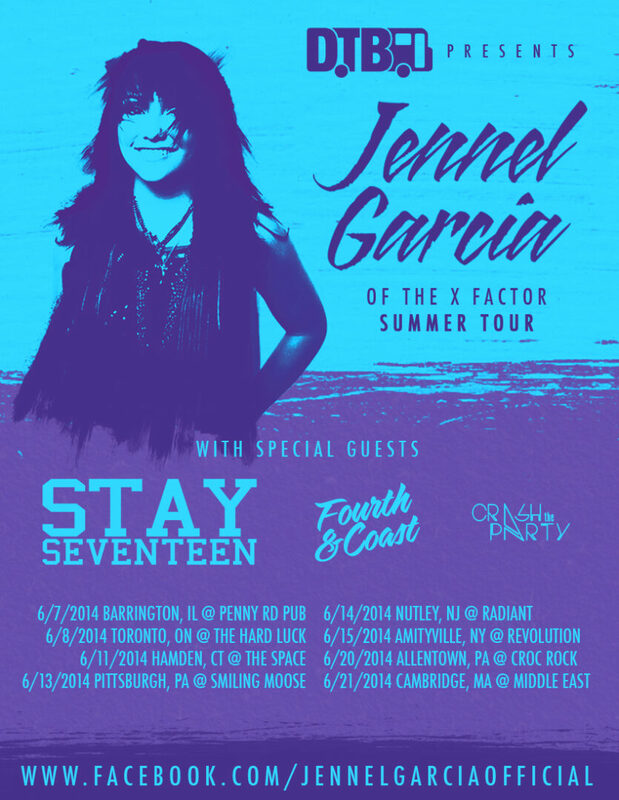 Stay Seventeen, Fourth & Coast and Crash The Party will be supporting Jennel on this run of dates. We are also lucky enough to be sponsoring this tour! You can check out the dates and details, after the break. More dates will be announced soon. The tour post and pre-sale links will be available soon as well.